The mobile buzz isn’t the future… it is happening right now. There are millions of apps available on all the mobile platforms that you can instantly download to your tablet or smartphone. If you are an app developer that have built a great app, how you going to get your app noticed and used against all the other apps? The old saying of “build it and they will come” doesn’t work online. If you want people to notice and start using your app, you will need to market it so that the audience you are after will notice it. This involves creating some brand awareness for your app and using a couple of other marketing methods. 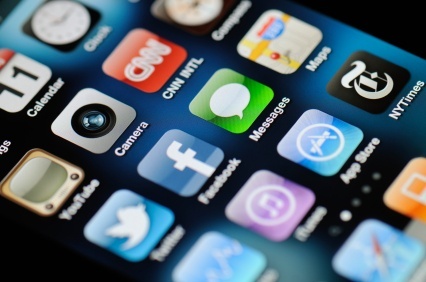 Find a list below that can help you get started with marketing your app to the mobile world. Brand awareness: Create and tell your story about the app you have built. What problem and needs are you trying to solve with the app? Build and define your brand personality. This might mean to follow a new audience instead of marketing to your current following. App store: Promote your new app on the app store. How is your app different from other apps that are relevant? What makes your app unique? What are the main features that your app does? Website/blog marketing: Build a website and blog for your app that you can use for promotion. Make your blog interesting by answering common questions regarding your app. Show real scenarios where your app solves a problem. Also make your app easy to download. Social media: The more people are talking about your app, the more exposure the app will get on the web. Use popular social media channels such as Google+, YouTube, Facebook, and Twitter to spread the news about your app. You can also engage on app forums explaining what your app does. Release date: Announce the official release date of your app by promoting it via social media and your blog. Continue to engage with your audience and build a following. An easy way to do this is to give out discount codes on your social media channels, and running competitions. Promote using QR codes: You can increase the downloads of your app by making it very easy for people to scan your QR code with their mobile device and then be redirected to your download page. Use these QR codes in your advertisement content, blogs, email signature, and other print advertisements you have. Target review channels: Target selected review channels that specializes in app reviews. This can greatly enhance your exposure.